Vejer de la Frontera (ESP), 21st of January 2019 - Montenmedio refine the final details to host, during six weeks, what will be the most important circuit in Europe. On February 13, will start a very special edition of the famous Sunshine Tour, which this year celebrates its twenty-fifth anniversary. The circuit, that is going to distribute more than €1.300.000 this year, will start the first week with a CSI2*, to get horses and riders ready, and will continue with two CSI3* and three CSI4* the following weeks. As usual, during the week the young horses will go out to the ring and on the weekends the most important classes, including the 28 Longines FEI ranking classes will be held. More than 1800 horses and 450 riders visit, will until 24th march, the facilities of Montenmedio that, on the occasion of their anniversary, have being improved. 21 arenas with the latest technology, two of the new rings made with the support of Geolastic, spaces for veterinarian and two SPA for horses, training belts Treadmill available for renting, more fixed boxes or three hundred new parking places for trucks will be just some of the improvements this year. 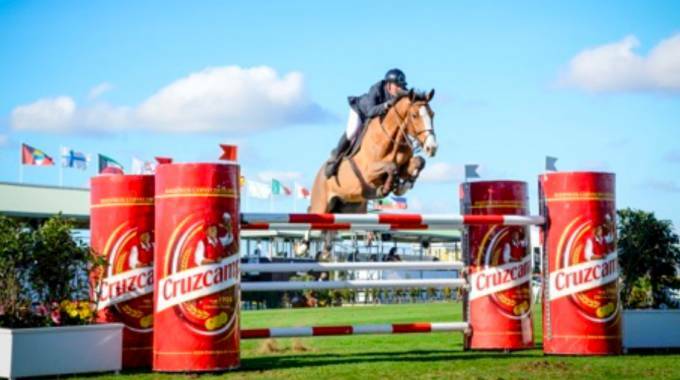 Among the most important confirmed riders on the international scene are Pedro Veniss, Jérôme Guery, Gudrun Pattet, Luca Moneta, Cian O'Connor, Olivier Robert, Gregory Wathelet and Peter Charles. In addition, a commercial Village with the latest brands and equestrian products, and a large restaurant area with different dining options will be open to the public.